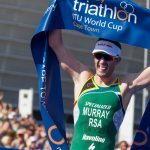 Cape Town has been appointed the host city for the upcoming SA Duathlon Championships, which take place on Saturday 18 June from the Green Point Park. 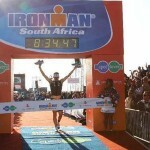 Triathlon South Africa (TSA) will use this event to select the national team to go to the World Duathlon Championships in Gijon, Spain on the 24 and 25 September 2011. A field of top competitors from all over the country are expected to take part in the Cape Town event for a chance to make the team. Bradford added that some of the country’s top duathletes will be taking part; including Travis Johnston of Central Gauteng and Mariette Hattingh of Eastern Province. The local athletes to watch are Viv Williams and Alae Brand, as well as Gilbert Lucas. 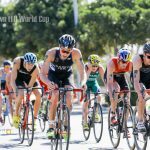 The male and female age group athletes in the age groups 20 to 49 and 50+ will all be competing over distances of a 10km run, followed by a 40km cycle and finishing with a 5km run. The juniors age 12 to 15 take part in a 2.5km run, 10km cycle and 1.25km run, while the juniors age 16 to 19 do a 5km run, 20km cycle and 2.5km run. The first event gets underway at 08h00. The transition area will be housed within the park and participants will be running a loop route around the park and the stadium precinct area, providing spectators with a chance to see some top athletes in action up close and on numerous occasions. The cycle route is also in a lap formation out towards Sea Point swimming pool and back a long Beach Road. Over 300 participants are expected for this world-class event and spectators are encouraged to come out and show their support for what promises to be a fun-filled day at the Green Point Park.